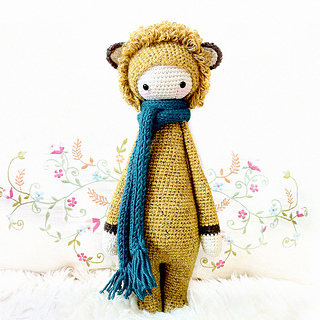 Not only outwardly Loni is a real lion - her costume conceals a truly brave character. 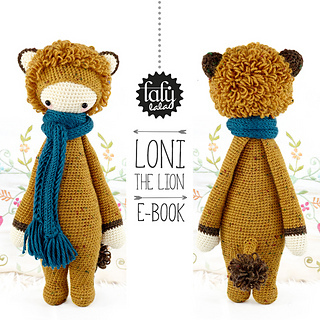 Of course she’s able to bare teeth, but normally Loni is really cuddly and very tame. 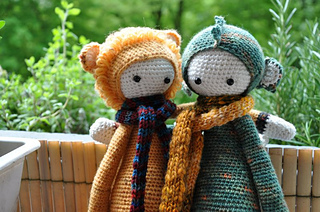 She is a true friend and will always be on your side courageously. 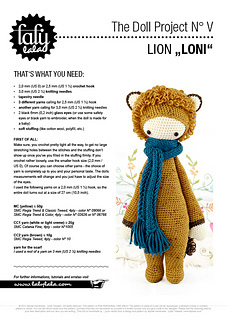 Loni lays great emphasis on her daily midday nap and the extensive care of her luxuriant mane. 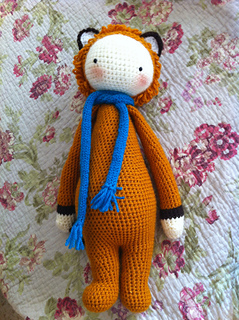 In her free time Loni is practicing the race with gazelles. 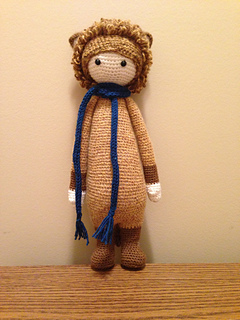 She is approximately 10,5 inches tall. 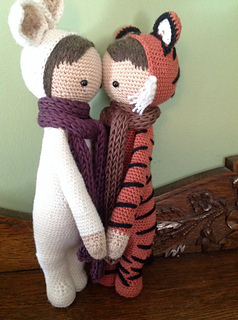 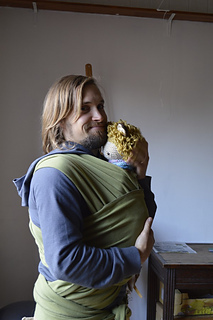 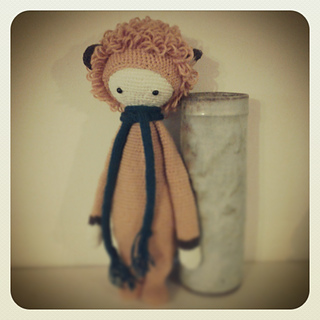 LONI is made out of cosy 4 ply tweed, cotton wool and love. 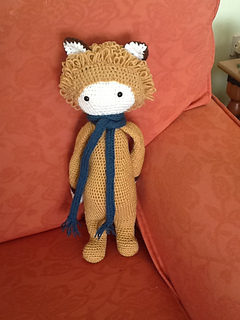 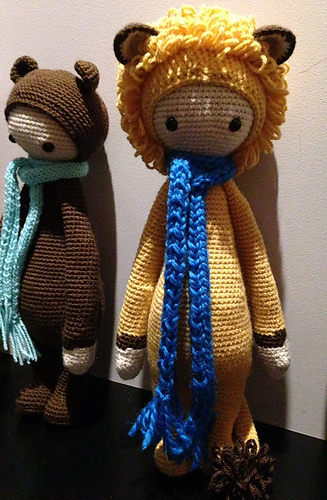 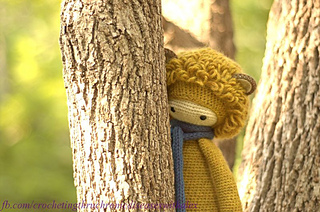 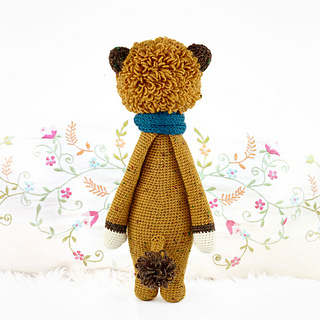 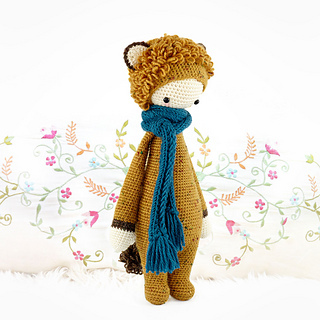 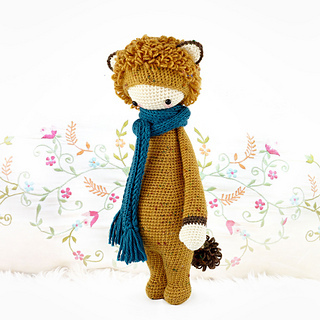 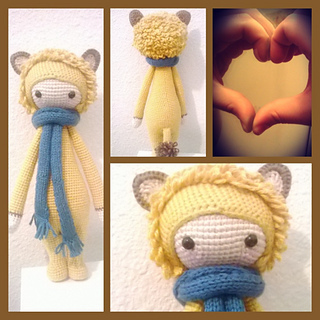 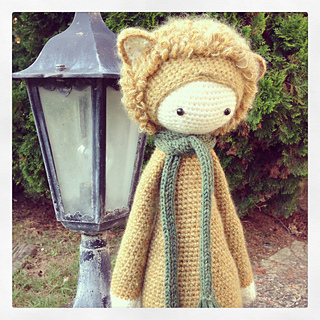 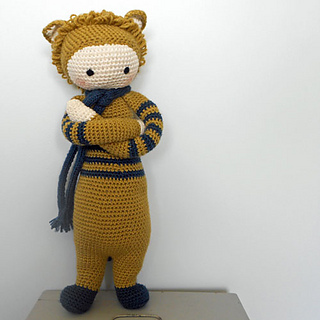 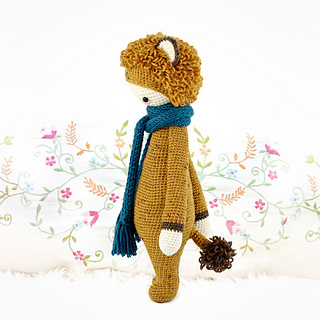 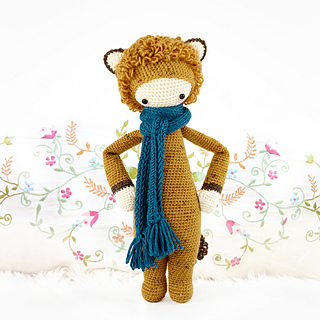 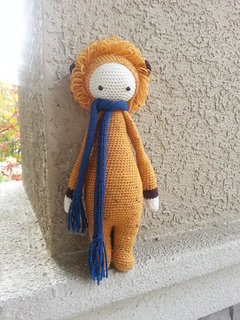 For your little lion you can use every yarn you prefer - she’s getting taller or smaller but she’s always really cute! 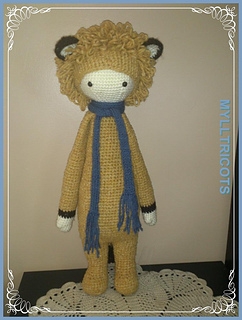 Have a look to my other DOLL MAKING PROJECT patterns to - LONI has a bunch of cute friends wearing other fancy costumes! 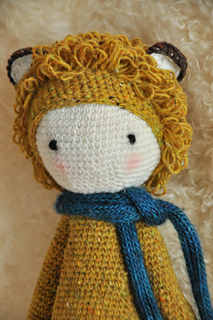 You can find a really nice tutorial video of a really tight loopstitch for Loni’s mane in the “how to” section at my homepage www.lalylala.com.